Soon after winning the Battle of Hastings, William of Normandy decided to have a castle built, in his new capital. He had large areas of land cleared of Saxon houses and barns before getting the Saxons to build his new home. Built of stone, some of which was imported from France, the building began to take shape. With walls that are more than 4 metres thick and standing at almost 30 metres in height, the castle literally towered over the wooden single-storey Saxon buildings. Its entrance door was situated on the first floor, while the windows were small. Many of the rooms had fireplaces and toilets. There was even a chapel. Not only was the castle used as a royal residence, but it was here that banquets, trials and meetings were held. There was no other building like this, in the country, and it intimidated the Saxon population, while offering complete protection to the King. King William died, in 1087, leaving his son William Rufus to complete it. Roughly 200 years after its completion, the entire building was whitewashed, in 1240, and it became known as The White Tower. Today, the White Tower is home to the Royal Armouries, which showcase armour and weapons going back centuries. Also, you can visit the torture exhibits, which have an authentic block and axe, believed to have been used in the last public beheading on Tower Hill, in 1747. Of, course the Chapel of St. John the Evangelist is an absolute must-see. In the basement you can see where people, such as Guy Fawkes, were interrogated. 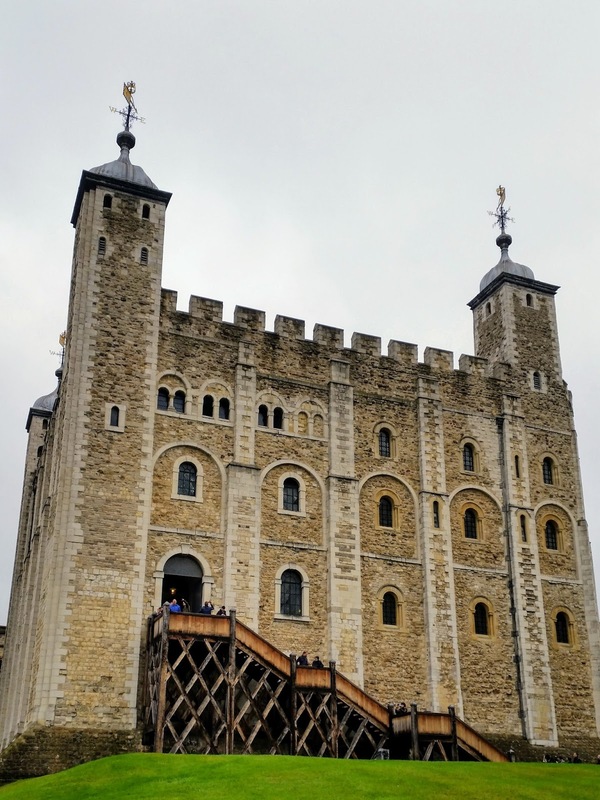 The White Tower was inscribed as a UNESCO World Heritage Site, in 1988, and as a Grade I listed building, in 1989.